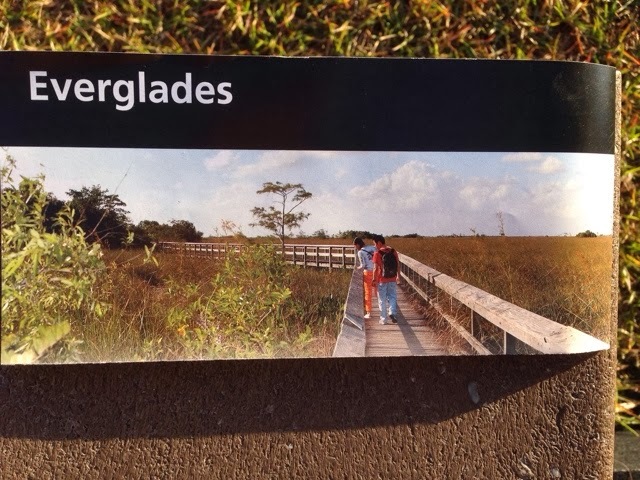 I have been on an airboat ride in the Everglades before so I figured I would try this 15 mile tram ride through the park at Shark Valley Visitor Center just short of halfway between Maimi and Naples. Little did I know that this is an overly popular attraction. 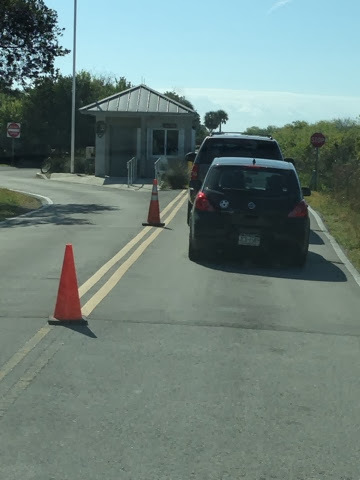 When I arrived I needed to wait 20 min in line for a parking spot to open. Some people chose to leave and many parked on US 41 and walked in. The tram was not crowded as parking limits the people that can get in. 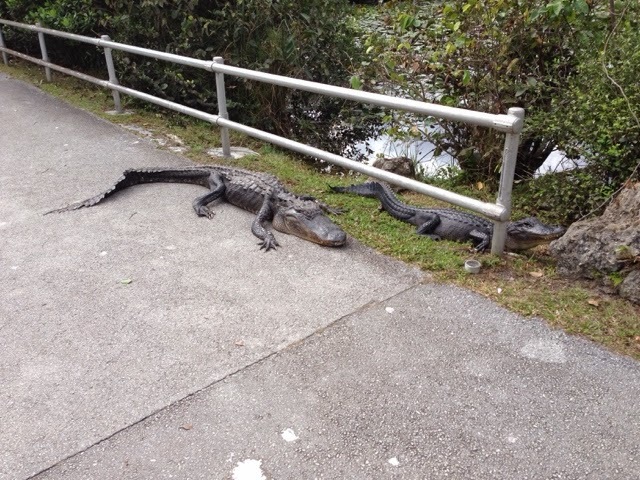 There was no problem seeing all sorts if birds and plenty of alligators, so I could understand why it was so popular. 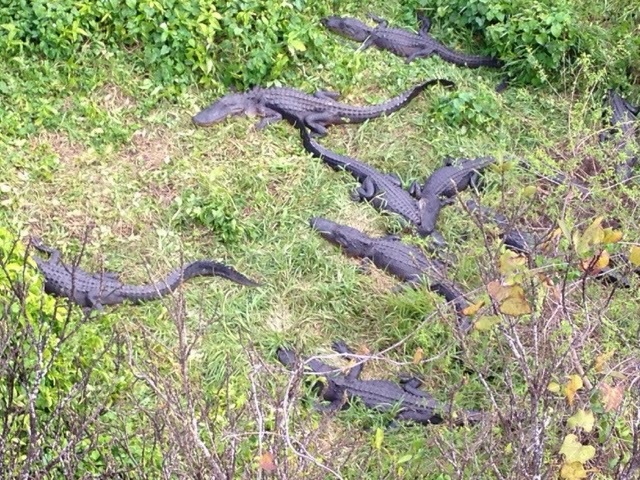 On the airboat ride I went on a number of years ago we hardly saw any. In fact if you didn't watch what you were doing you could step on one and be in real trouble. I did leave a bit depressed that the release of the Burmise Python to the southern Everglades has disrupted the food chain as they reproduced. This has resulted in small animals from mice to larger ones like deer are all but gone. Add this to the sawgrass now being replaced buy non-native plants means more changes in the future. This all comes on top of poor fresh water and runoff management problems from the early times, I can see why there are signs save the Everglades.